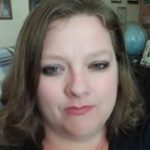 Update: The contest is now closed. Congratulations to our two winners and thank you to everyone else who entered. The winners have been notified via email. You can check out the comments below to see who won. I was hoping to receive these tomato t-shirts back when everyone was still talking about the whole #saladgate fiasco, but better late than never. 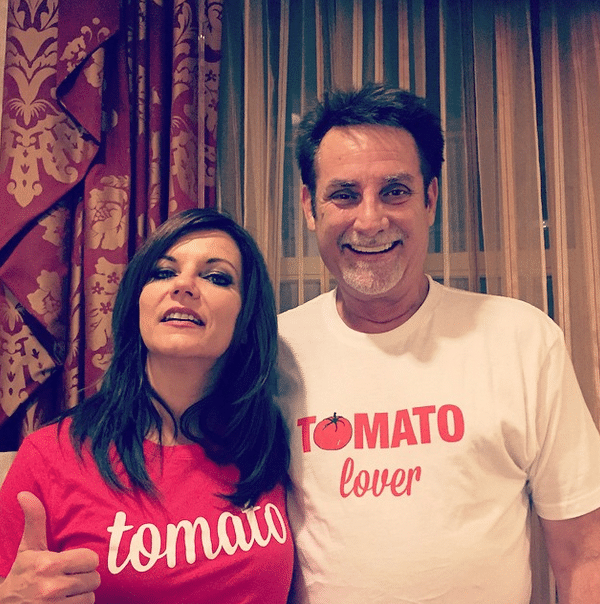 Anyhoo, back in June, these tomato and tomato lover t-shirts (as modeled by Martina and her husband above) were created as a way to take the controversial “women singers are the tomatoes in the country music salad” comments and turn them into a positive by donating the proceeds from the sale of the shirts to Martina McBride’s charity, Team Martina. The special sale long ago ended, but thanks to our friends at Teespring we now have a red “tomato” and white “tomato lover” shirt to give away to two lucky readers. To enter to win either the man’s tomato lover shirt (size XL) or the women’s tomato shirt (size XL), all you have to do is comment below and let us know who your favorite tomato is (woman singer) and why she’s your favorite. Also include whether you want to win the men’s, women’s, or either shirt if you don’t care which you win. When you comment, please be sure to include your real email address when you register so that I can contact you if you win. Don’t worry, your email address is only visible to me. If you’ve commented on NashvilleGab before and have used your real email address when registering, then you’re all set. If you’ve commented before and used a fake email address, just click “log out” and then you should be able to enter your real email address when you try and comment. If you have no idea what I’m talking about, just visit here. I will draw two winners next Saturday, August 15. Kelsea Ballerini because she’s so sweet and talented!! ? Carrie Underwood- I appreciate that she uses her music to shed light on important issues all while being classy and beautiful. Either shirt will be good 🙂 thanks! Congrats Jasemine Marie! You’ve won the women’s Tomato shirt. I will be contacting you shortly via email to get your mailing address. My favorite tomato is Reba M. I love Reba I saw her in concert a couple time’s. I been listening to Reba sense her First recording. She is a Beautiful and Talented Woman. I’ll take a XL Man’s please. Congrats Michael! You’ve won the man’s T-shirt. I will be contacting you shortly to get your address. Kelsea Ballerini and Hillary Scott because they’re sweet and fabulous!! My favorite is Brandi Carlile, because her voice is beautiful. I’d love the men’s shirt.